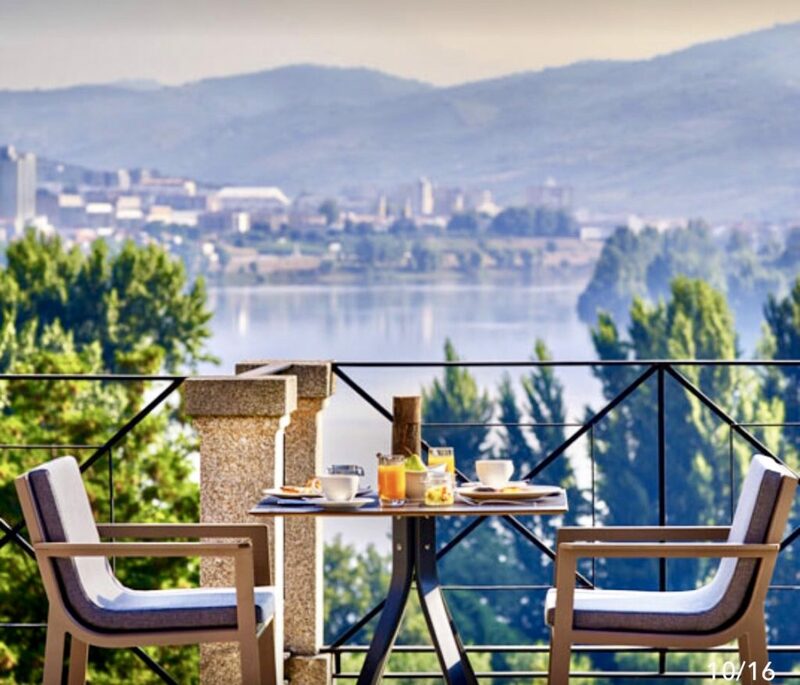 Six Senses Douro Valley is located in a superbly renovated 19th-century Manor House set high on a hill overlooking the vine covered rolling hills of the Douro Valley and the river below. 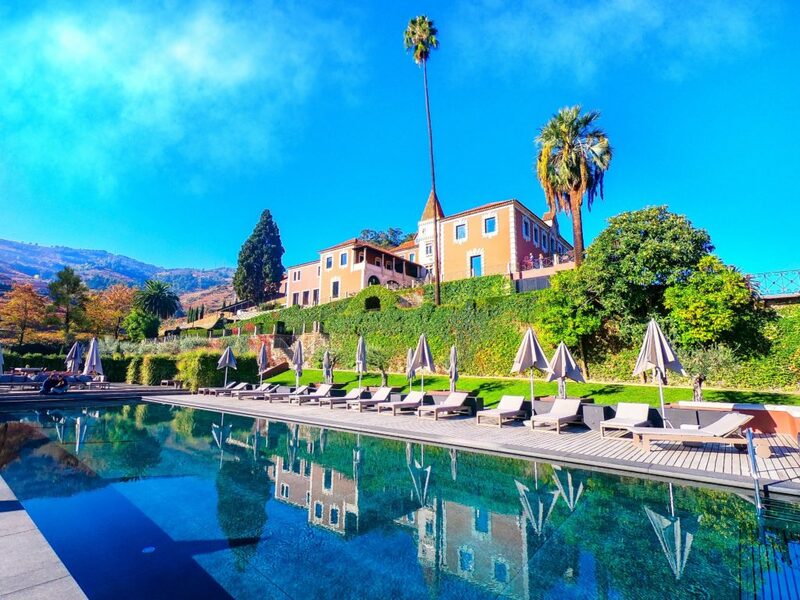 A breathtaking spa, ultra modern rooms, suites and villas, fantastic restaurants, a wine library, swimming pools and an organic garden are but a few of the many features offered in this oasis right in the middle of the oldest wine region ever registered in the world. I spent some days in this paradise and it will be my pleasure to share every detail with you. Enjoy the ride! 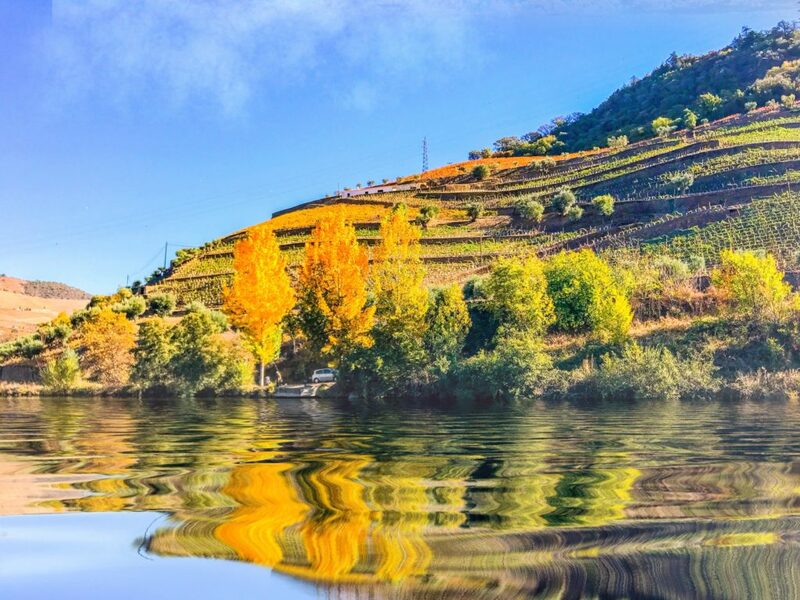 A Unesco World Heritage site since 2001, the Douro Valley is a Portuguese wine region accompanying the Douro river in the Trás-os-Montes and Alto Douro regions. 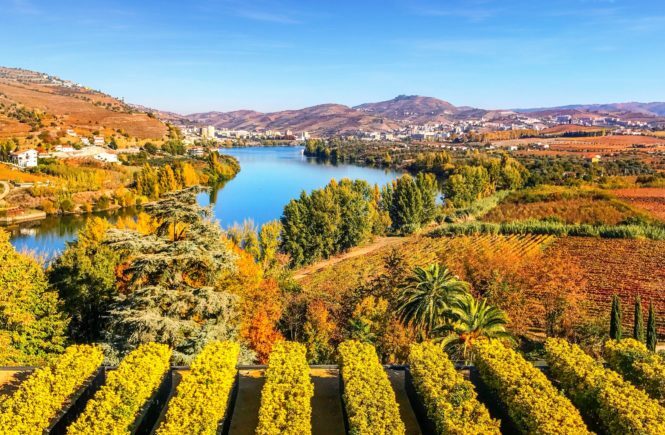 It is sometimes referred to as the Alto Douro (upper Douro), as it is located upstream from Porto, sheltered by mountain ranges from coastal influence. The region has Portugal’s highest wine classification as a Denominação de origem controlada (DOC). 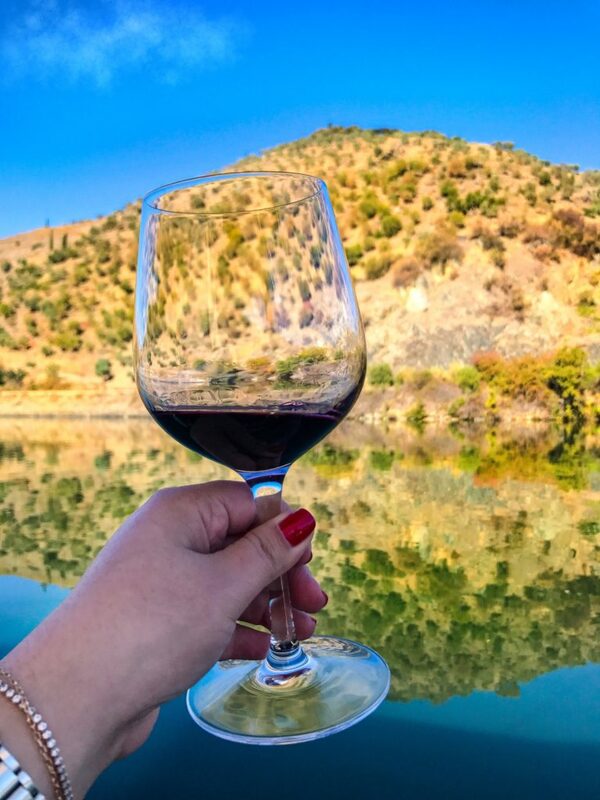 Don’t get it wrong – while the region is associated primarily with Port wine production, the Douro produces as much table wine (non-fortified wines) as it does fortified wines – The non-fortified wines are typically referred to as “Douro wines”. 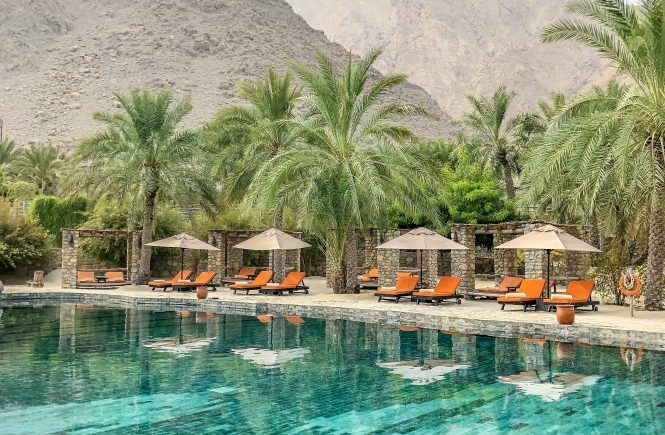 I admit that the destination was not on top of my list until I heard that Six Senses had chosen the unspoilt, natural landscape of the place for its European debut. This was when I sat in front of my computer and started reading everything I found about the Douro Valley. 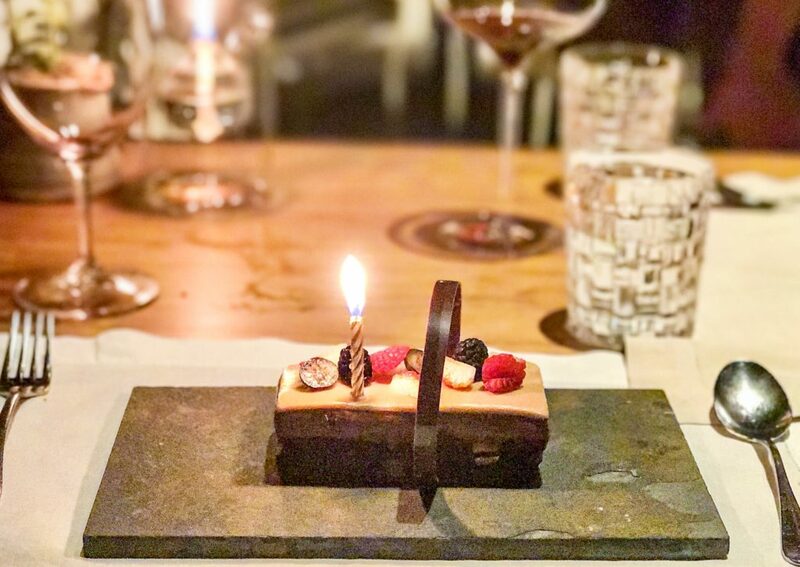 It was “love at first read” and this is why I chose to celebrate my 38th birthday at Six Senses Douro Valley. There couldn’t be a better combo to enjoy my day: state of the art accommodation and service + surreal environment. I wanted it so badly that I booked everything months in advance and I didn’t even know if my husband would be able to join me on that trip. Hahaha! In the end he did and we were able to recharge our batteries together at this amazing retreat. 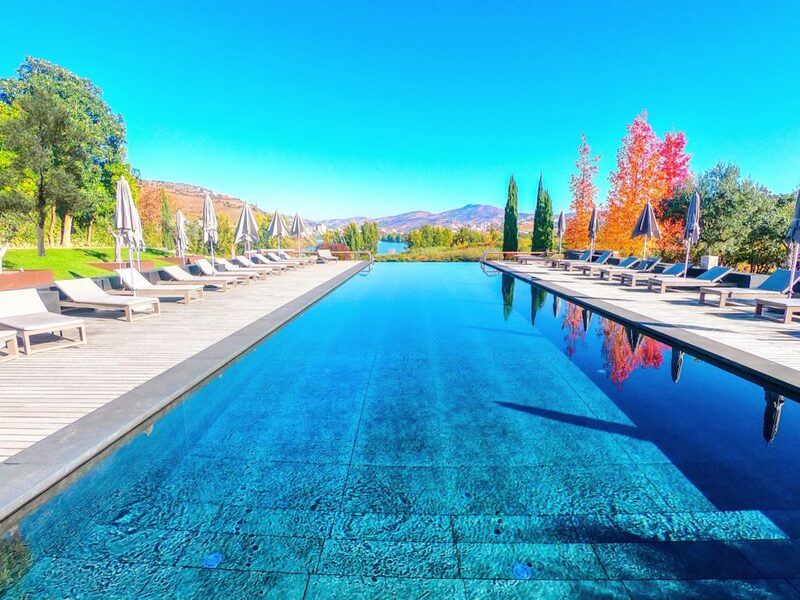 The Six Senses Douro Valley presents a superbly renovated 19th-century Manor House surrounded by modern villas, featuring cutting edge interiors (by New York-based Clodagh Design) and one of the best spas in the country. 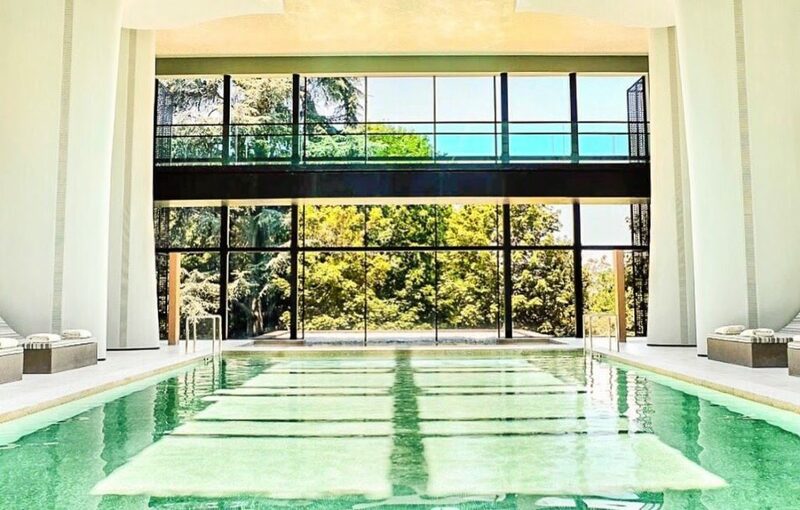 Needless to say that views are those that make us speechless and that the swimming-pools (outdoor and indoor) are those that one could spend the whole day in. 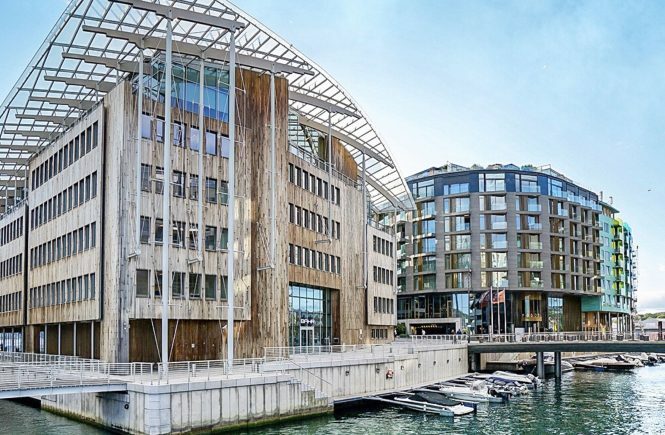 It was originally converted to a hotel in 2007 and renovated to adopt technical and material innovations. I had seen many photos of the property and read many reviews. Therefore, I knew that it would be an amazing experience. But honestly? It was more than this! More and more I get to the conclusion that I am never ready for Six Senses! At arrival I already had an idea of what the following days would bring and even though I was a little bit tired, as soon as I stepped into the hotel, I became extremely excited!!! Reception was so warm, with scented towels, some tea and a very laid back atmosphere. Staff is local, attentive, sympathetic and most important – they know everything about the region. Everybody I met speaks Portuguese and perfect English. See more of the hotel here. 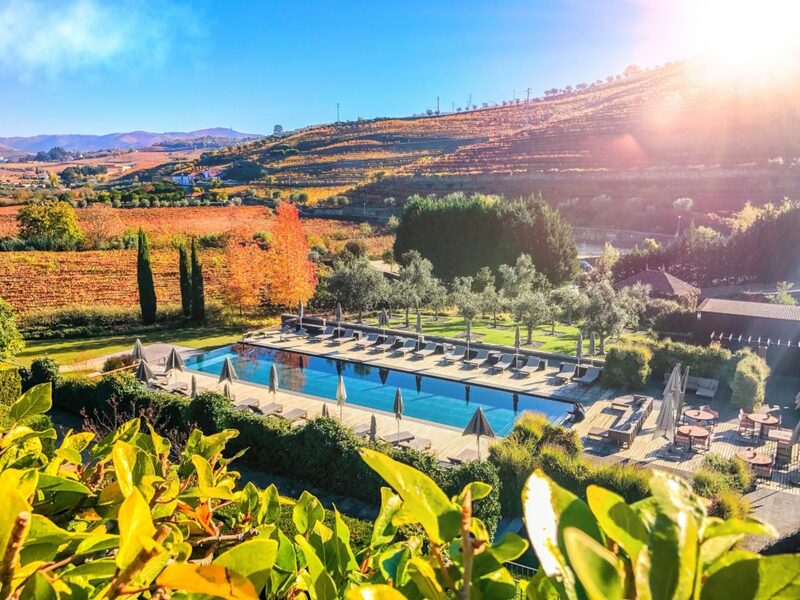 Located in the beautiful UNESCO World Heritage-listed Douro Valley, Six Senses Douro Valley is touched with the romance of 19th century architecture and it couldn’t be more fantastic. 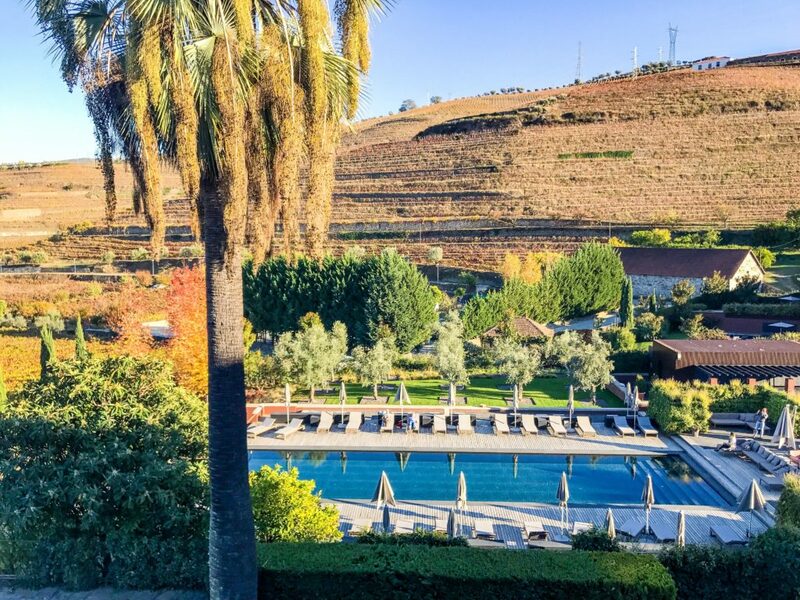 From pretty much any spot around the property views are incredible: to the outdoor swimming-pool, to the Douro river, to the vineyards, to the organic garden… you pick! I had an amazing time taking photos around the place because it was simply so easy – all around the scenery was wonderful! Haha! Also, the same place looks very different depending on the the time of the day and the lights. Unique! 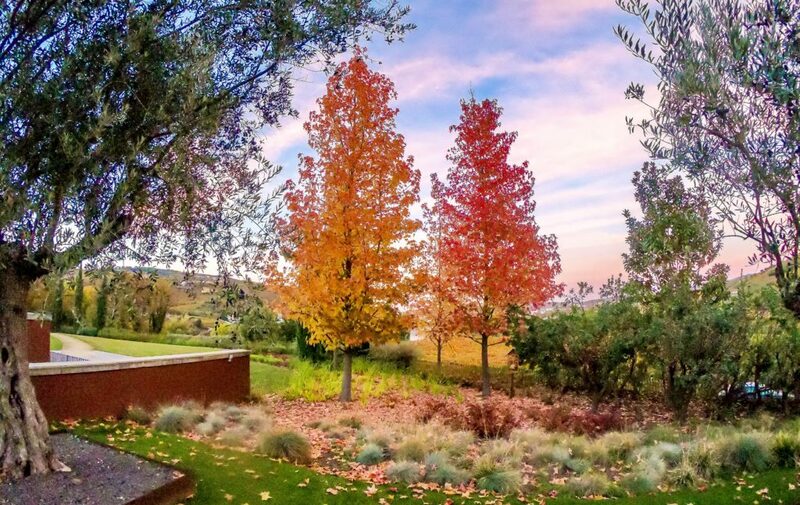 As we were there during autumn time, I was everyday mesmerised with the golden tones in the surrounding trees and vineyards. The property is located near the historic town of Lamego, which can be seen from the resort, and 90 minutes by car from Porto. It is a very good location to explore the region and the Quintas (wineries) by bike, car or kayak/boat. Think modern. Multiply by 9378163891798. This is what you get at Six Senses Douro Valley. And I am not talking about that level of modernity which is so exagerated that you don’t even understand or which doesn’t really work. 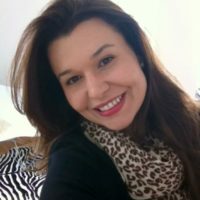 I am talking about really effective and comfortable tools which are easy to use and improve any guest’s experience. A good example of what I am writing about is that room service is ordered via an in-room smartphone, which also operates the lighting, blinds and TV, everything from your bed if you want. No need to really talk to anybody. I liked it so much that I wanted to order things the whole time, like a freak. Hahahaha! We ordered wine, food, a bucket of ice, we reserved a table and spoke to the concierge… everything via this smartphone. Really cool! There are 8 types of rooms and suites to choose from, besides the Multiple rooms suites and the Specialty Villas. Honestly, there is no way to go wrong as whatever you get will be amazing. And I mean it! But of course it can get extremely luxurious when there is a private pool in your villa or when you have a direct view of the beautiful river. Apart from views, sizes (some suites have more rooms) and baths, materials and style are the same – Portuguese oak floors, earthy tones and textured walls in muted gold. Floor-to-ceiling windows create a light and bright feel. We stayed in a Quinta Deluxe and found it just perfect. It was very spacious (around 50m2) and cosy. We had a beautiful walk in shower with a glass wall, a living room, extra comfy bed, huge windows to the terrace and an area to sit outside. 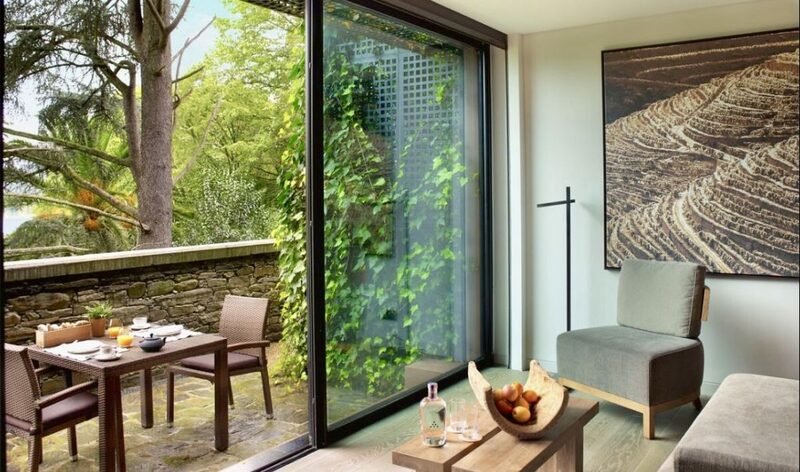 Everything in that contemporary style which is so typical at a Six Senses retreat. 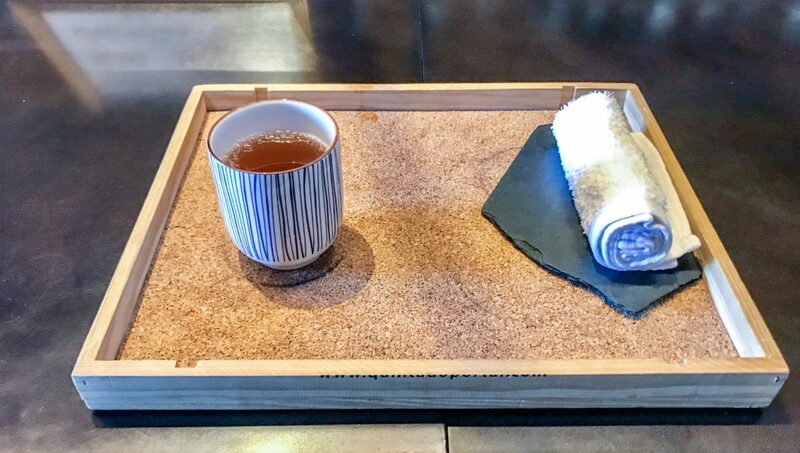 Amenities are Six Senses, which I love. It is great quality and the smell… Oh! The smell! Missing it! See all the accommodations here. 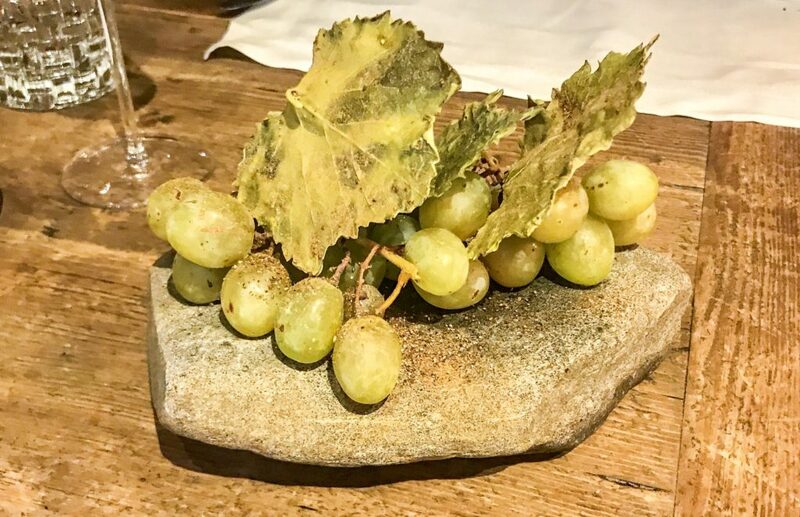 Dining options at Six Senses Douro Valley are a celebration of the region with much of the produce coming from the verdant valley and surrounding countryside. 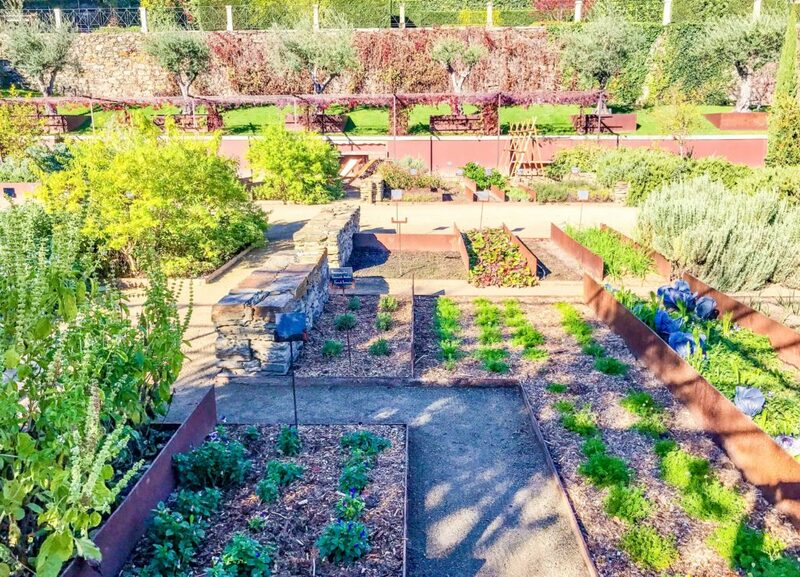 A huge organic garden (a must see in the property) of vegetables and herbs is located right on the estate. Fresh ingredients are harvested only as needed, assuring ultimate freshness and flavour. Therefore, while in the hotel, we were sure that we were not only eating good quality ingredients but we were also being exposed to Portuguese traditions. Right at my first day at Six Senses there was a cocktail night outside, with lots of great local wine, snacks, live music and interesting people. All of that happened around the fire. WOW! I went on my own as Andy would only arrive later that day and had the pleasure to meet the Canadian nutritionist who visits all Six Senses Hotels (she stays weeks in each property to conduce a very serious research) to work with Chefs in order to offer guests a balanced and healthy menu which is still 100% loyal to the region. 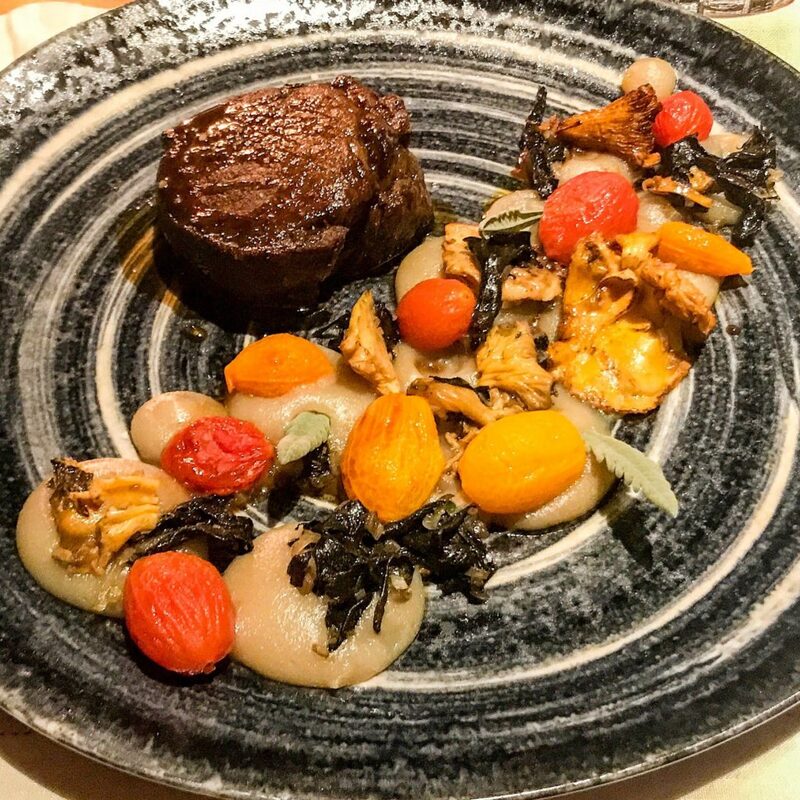 She explained that at Six Senses, even if you commit excesses, these are going to be rather “good” excesses because portions are balanced and ingredients very fresh. I was amazed by the commitment with well-being. Really nice! Therefore I felt really not guilty about my excesses. Also, I have to mention that my bday was very super special! I had a surprise cake and almost the whole staff of the restaurant singing happy birthday in English and Portuguese during dinner. This was sooooo sweet! Thank you, guys! Open throughout the day and featuring local and regional dishes. 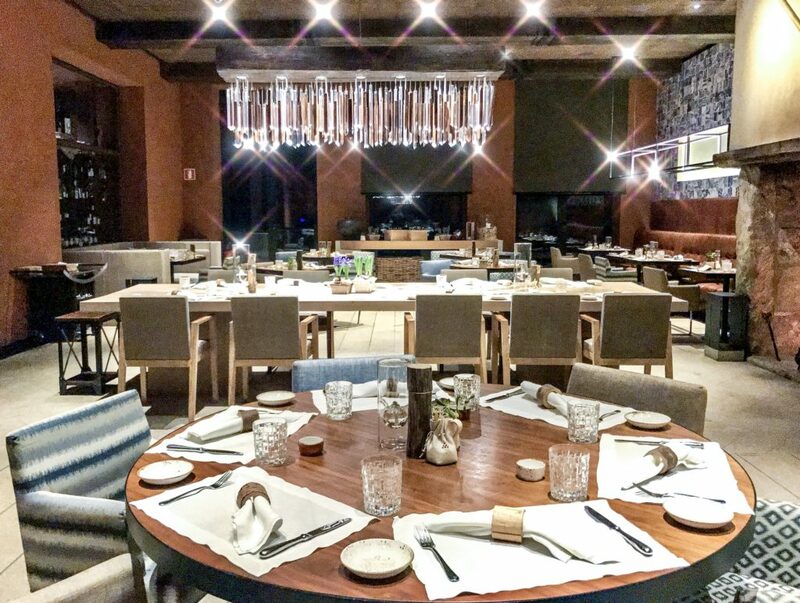 This venue combines three distinct areas, the Open Kitchen, the Dining Room and the Terrace. This is where we had most of our meals and everything we tried was really delicious. 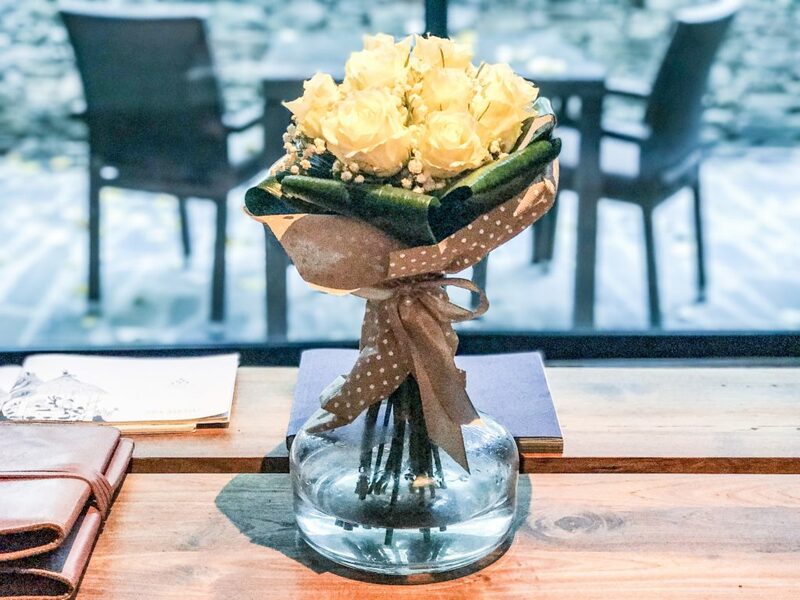 The ambience is one of a kind, REALLY beautiful and the staff very professional, sympathetic and knowledgable about the menu and wines. As it should be, for each meal, we had the sommelier patiently helping us to harmonize the wine. 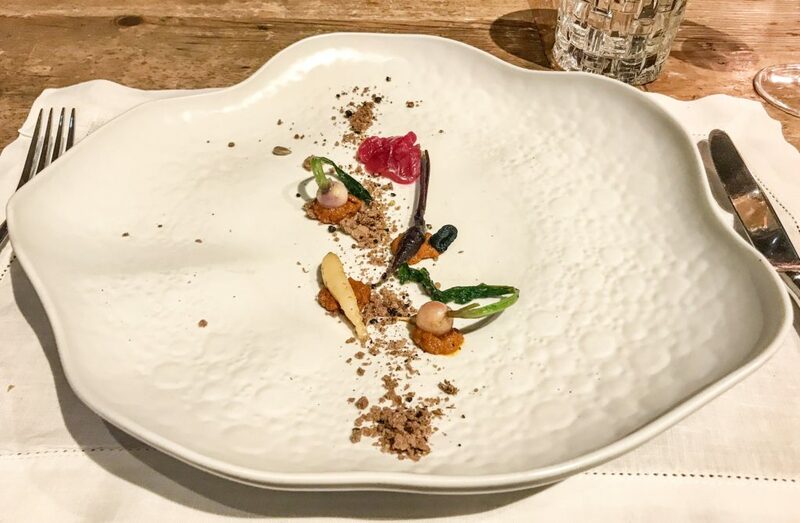 Last but not least, even though plates are typically Portuguese, they are also very inventive and presentation is impressive. Vegetarians will find plenty of options on the menu. 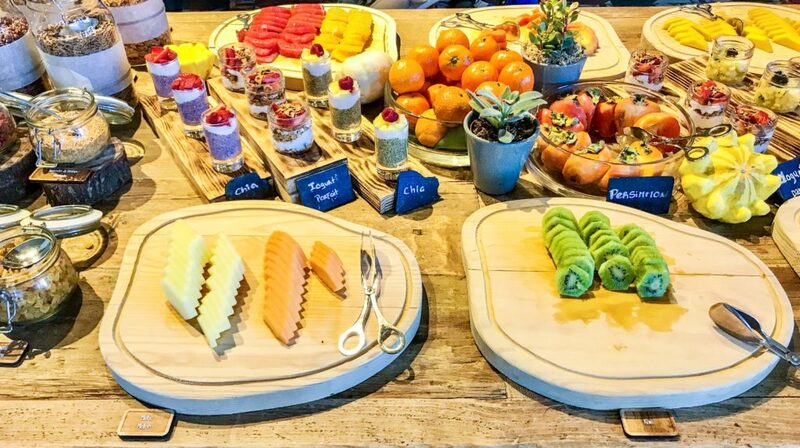 Breakfast is served here in a buffet style with an unrivalled attention to detail. Not only the food is fresh and delicious, but also its presentation is impeccable. 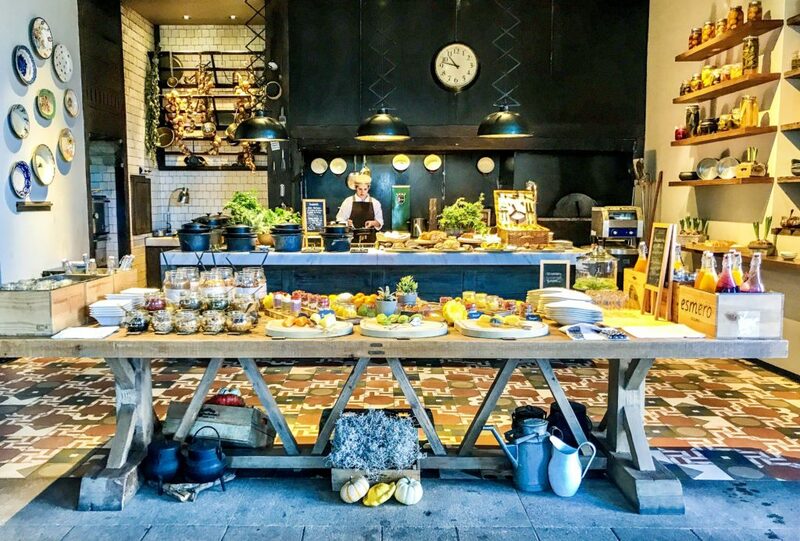 Chefs will cook eggs in different styles right in front of guests in the open kitchen while fruits, breads, cereals, cheeses, sweets, etc, etc, etc will satisfy each and every type of guest. Make sure you try the tomatoes and the queijo de azeitão, a typical Portuguese cheese, Ah! The juices… there are around ten types which range from the common orange juice to super detox combinations I could have never imagined before – this was maybe my favourite part. The beautiful classic décor of this traditional room creates a warmly intimate atmosphere with a myriad of details. I particularly love the fire in the middle of the room and the chandelier. 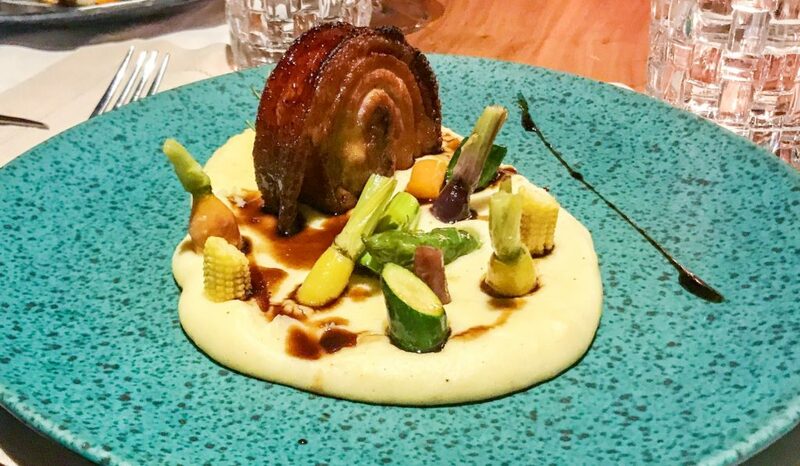 The menu’s market-inspired fare incorporates the best in regional cuisine, perfectly combining fresh ingredients and seasonings – Every dish beautifully showcases local ingredients and flavours in a very global manner. I will not indicate a specific table as any is very good in this place. 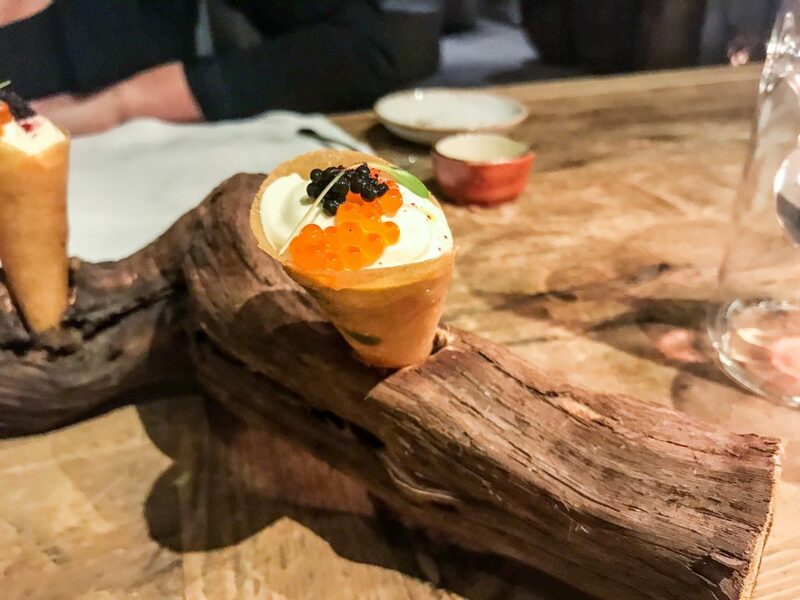 To add some fun to the culinary experience, secret destination dining is a pop-up experience with dinner tables tucked into the woods by the river. 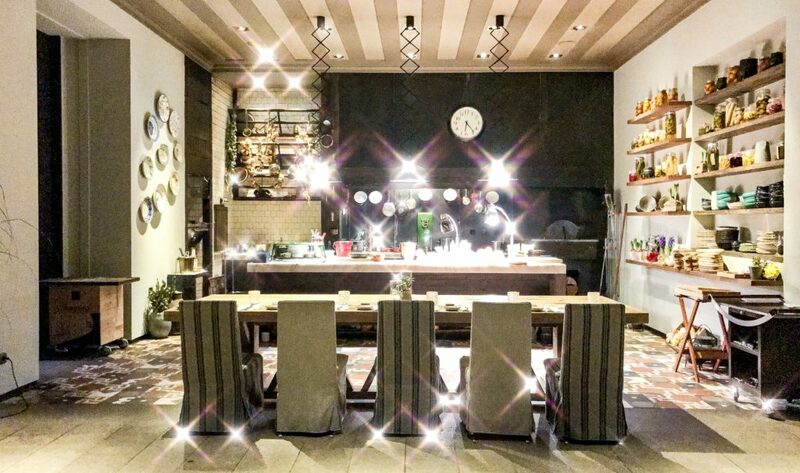 The location and the menu are kept secret until the last minute as a delightful surprise. The good point is that one can definitely trust whatever Six Senses would choose for its guests. You guys know I love it, right?! Well, after the experience at Six Senses Douro Valley I can just say that now I love it even more!!! Haha! It was AMAZING! Once you visit this hotel, make sure you book it! A meal with a view! This is what you should expect when dining on the terrace. As if the amazing creations coming from the kitchen weren’t enough, the view will make you think you are dreaming! And I mean it. Tables are placed around a beautiful fountain with breathtaking views to the outdoor swimming pool, the Douro river and the vineyards. We were in the property in November and it was still possible to dine outside. So cool! The most relaxed of all the options to dine and the perfect place to sip some cocktails and order some tapas or cheeses from the region. A tea in the afternoon while looking at the river is also a great option. Pool table and table games available. 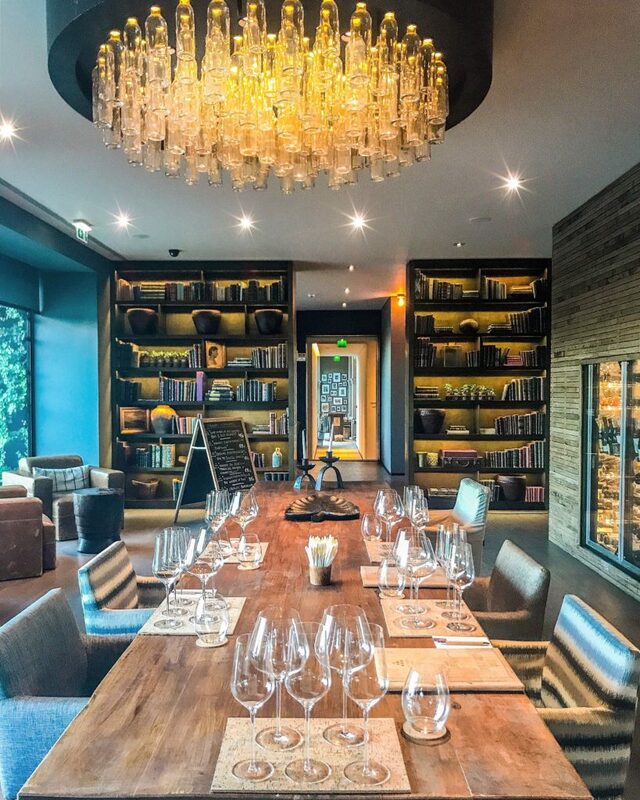 The Wine Library & Terrace is an ideal pre-dining rendezvous. This is also where most of the wine tastings take place and where there is an Enomatic (wine dispenser) displaying wonderful wines of the region. I explain: During check-in, each guest receives a wine card which can be used to pour wine from this machine during the whole stay. Did I love it a lot or too much?! Hahaha! Decor in the room is outstanding. Modern and warm, different, just the right balance between modern and cosy. There is also a very complete adega on spot and a cute boutique. 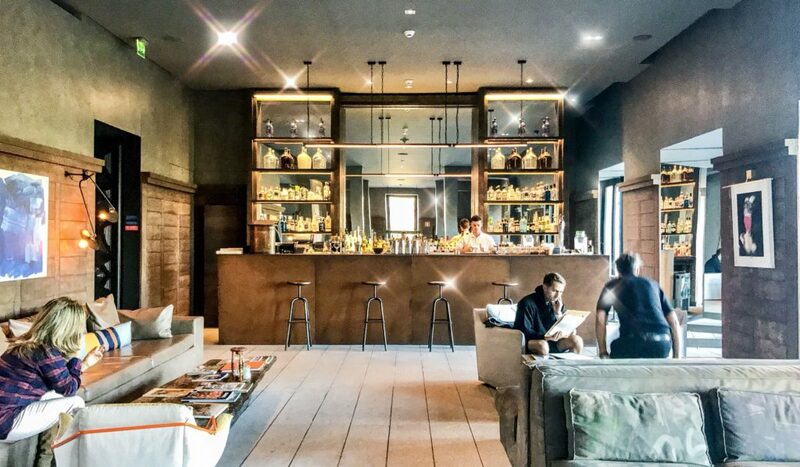 Six Senses has created a dream team at Douro Valley. – Ljubomir Stanisic, considered one off the most creative chefs in Portugal, is the consulting chef. He specialised in food chemistry at the Belgrad Culinary School and owns his own restaurant in Cascais. He has also been a MasterChef Portugal judge and written several books on cuisine and cocktails. – Luis Borlido is the head chef. 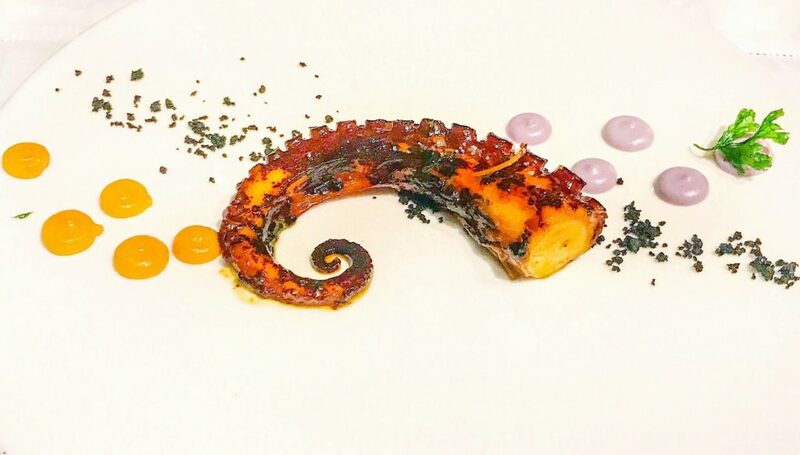 After completing his culinary studies in 2007 he worked in several five-star hotels in the region, including the Vidago Palace, where he was Head Chef of the Rui Paula fine dining restaurant. – Filipe Neto is the wine director. He studied at Escola de Hotelaria e Turismo in Coimbra and besides wine, he is also an expert in coffee. 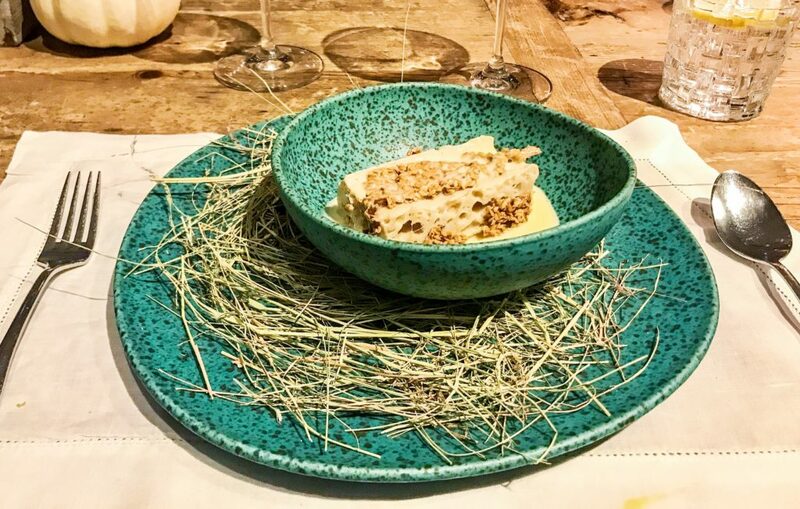 The coolest experiences we had at Six Senses Douro Valley always involved wining and dining. But this is because I am not the super sporty person. There are a variety of activities for every taste. Unmissable!!! This is something which everybody does when in Douro Valley but the one at Six Senses was very super ultra special. 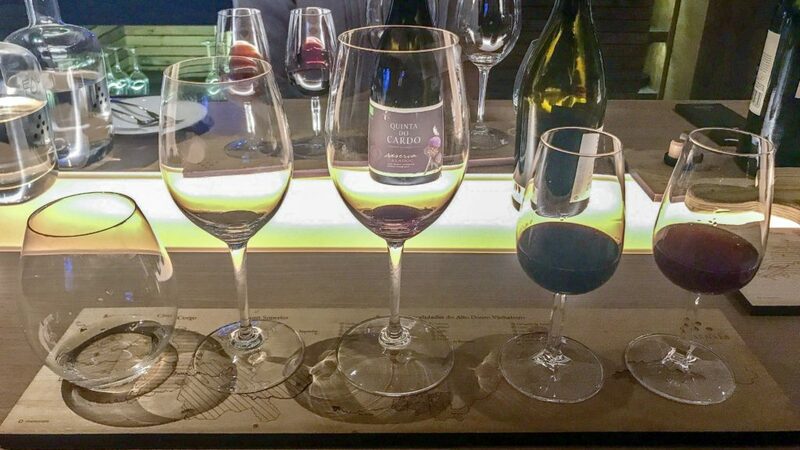 We had the private tasting with top sommelier João Koehler and this was maybe the coolest tasting we have ever had, among the 1 million we have already done during our travels. I tell you why: more than a tasting, it was feeling like a conversation between friends because João was leading it in a very relaxed way and allowing us space to comment, ask questions and comment again. Haha! It was really a lot of fun while learning a lot about the region and tasting some of the best wines of the Douro Valley, some that can only be found in loco. This experience starts with a 20 minutes walk up the hill through the vineyard that leads to what is called Port Knox, a cool wine cellar with ageing Ports. 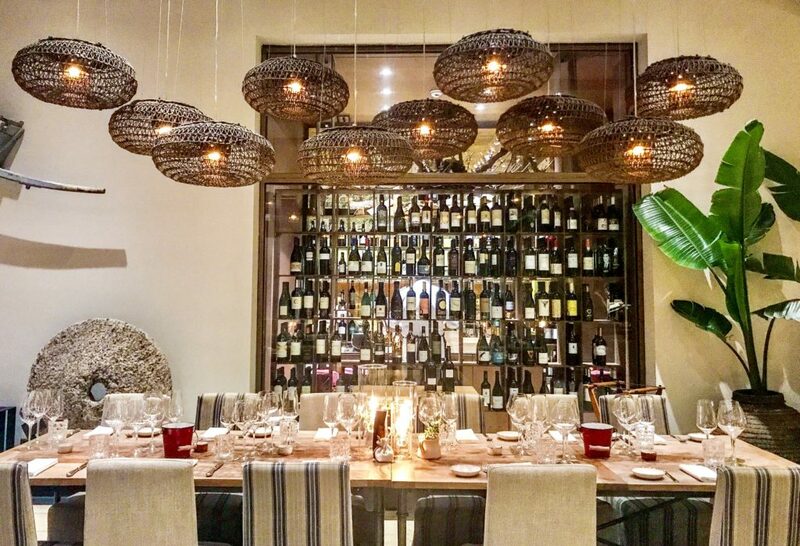 The owner of the property greets the visitors and guides them through a tasting straight from the source of where one of the world’s greatest wines is produced. The tasting includes Port Wines which have been ageing for 10, 20, 40 and even 100 years. All of that in a cellar on top of the mountain overlooking the hotel. Memorable! 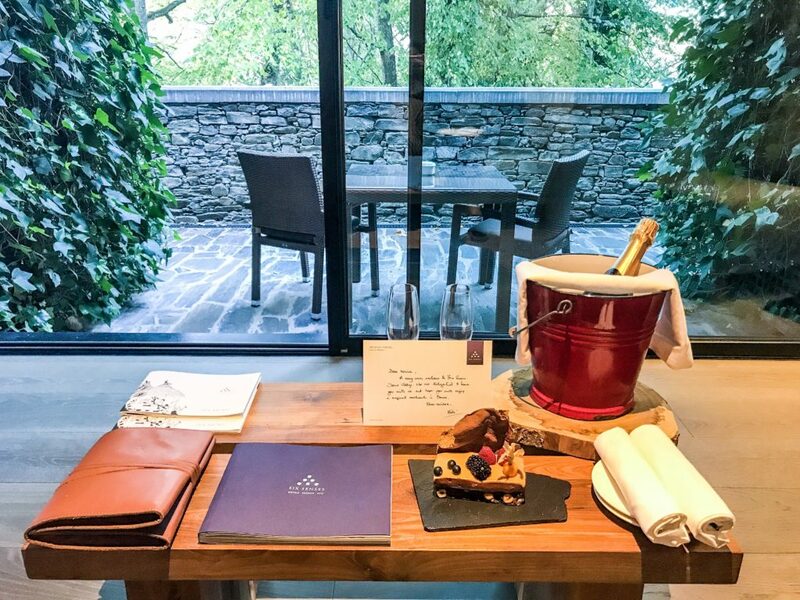 Visit some Quintas (vineyards) which are usually not open to the public like Quinta do Vesúvio and Quinta do Bom Retiro – The Six Senses concierge will organize every detail of your discoveries. The hotel can arrange private guides to explore the historic and picturesque villages or even electric bikes for those who want to speed up. This was also unforgettable! We were a small group on board of the oldest boat on the Douro river, the EntreMargens. On board, besides appreciating stunning views of the valley, we had the Six Senses sommelier Filipe Neto (mentioned above) coordinating a wine tasting and explaining us everything not only about the wine we were tasting, but also about the Quintas we were seeing right in front of us and the terroirs. This was so cool and enriching that visiting Douro Valley and not engaging in such an activity should be considered a crime. Hahaha! I mean it! This is the perfect adventure to people who like adrenaline – it consists of descending the River Cabrum Falls. Get ready to get wet. A very popular activity in Douro Valley, trails can be found in the whole area. It is possible to rent a bike and explore on your own or together with a guide. There are many historic cities and amazing Quintas which can be visited. There is a team of specialists to guide guests during this activity in the forest. 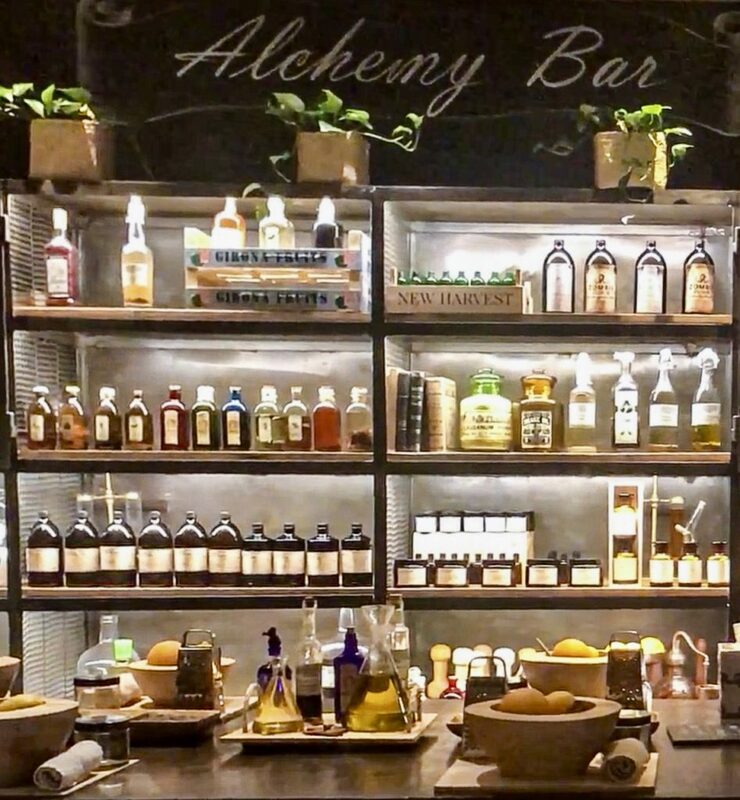 It is possible to create your own cosmetics with natural local ingredients at the Spa, in the Alchemy Bar. Aerial Yoga works together with gravity to relax and realign the body, center the mind and uplift your spirit. We tried Aerial Yoga once at Six Senses Laamu in the Maldives and it was just as nice as in the Six Senses Douro Valley. I wish I would find such a cool class in Switzerland. Do it!!! 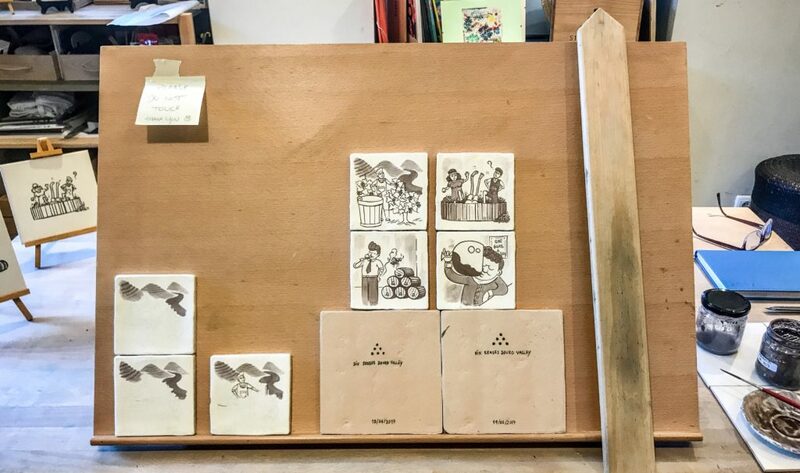 A typical Portuguese tradition, producing tiles can be a lot of fun. It is possible to paint and engage in the whole making process. You take your tile home afterwards, of course. See every experience in detail here. 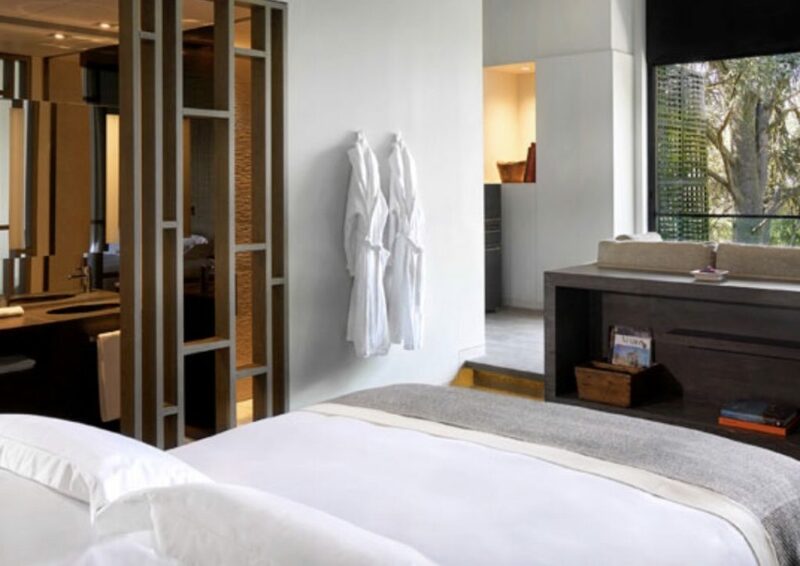 It is clear that when we talk about Six Senses the Spa is going to be amazing. 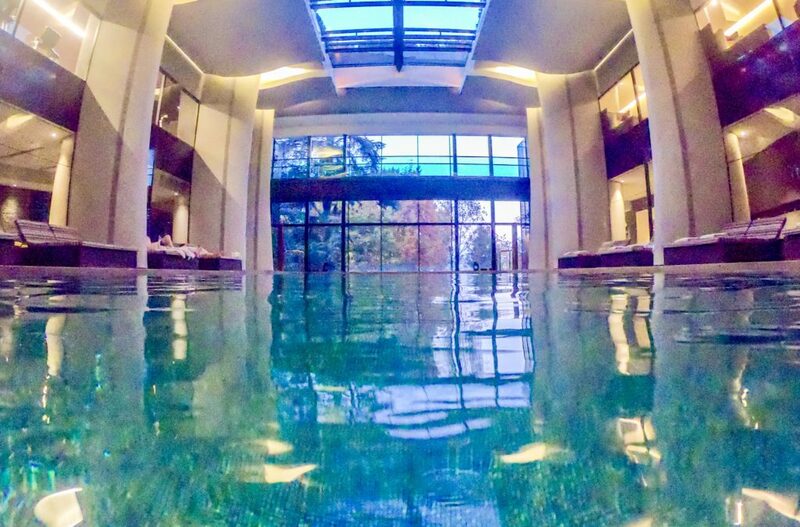 But don’t think that every Six Senses Spa is the same. 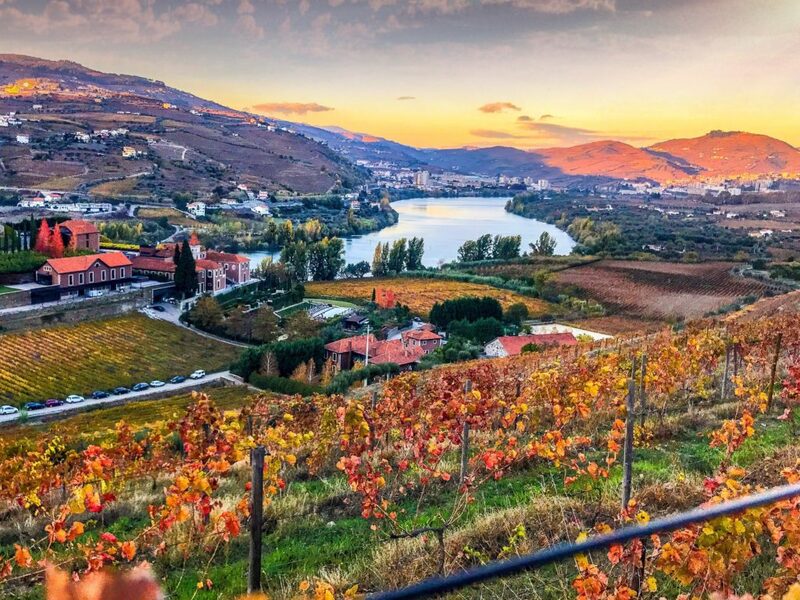 The one at Douro Valley consists of a union of nature and Portuguese tradition wedded to the elements of water, stone and wood. 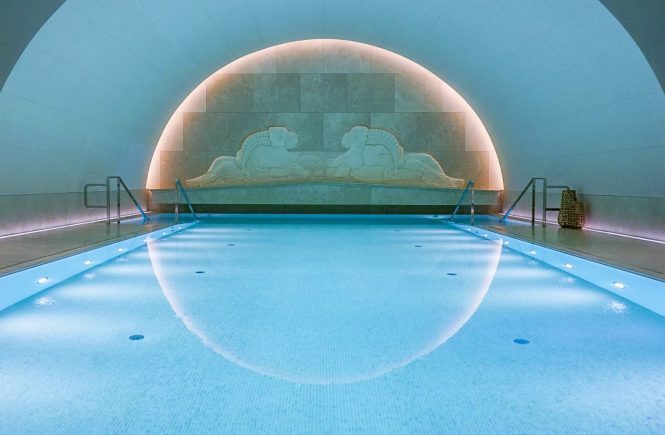 There are 10 treatment rooms, a heated indoor pool with water jets, an outdoor pool and refreshment bar plus a gym with the latest exercise equipment and professional guidance. I tried two treatments but before telling you what they were, let me add that my treatment room was breathtaking. Not only because it smells great but also because it offers amazing views of the Douro Valley. My experience started with a tour around the Spa where all the facilities were explained. Once we entreated the room, I could choose wich natural oil essence I wanted for my treatment (I chose citrus) and then… heaven! Or something better than heaven. My first treatment was a Six Senses signature massage Detox. It started with a scrub (weeks later and my skin still feels really soft) and moved to a stimulating massage using firming and toning oils to reduce the appearance of cellulite, uneven skin tone and fluid retention. Silicone cups were used to drain toxins and residues out of the body, boosting circulation and the flow of energy. This was OMG! Seriously one of the best treatments I have ever had in my life. My second treatment was the Indian head massage – Pure love!!! So relaxing that I slept within a couple of minutes even though I didn’t want to do it. Méehhh! I seriously would have liked to do some other treatments BUT I didn’t organize myself well enough, and there were no more appointments available – We only found one more availability, and as I am a really nice girl, I “gave” it to my husband. He tried the deep tissue massage and apparently also had the time of his life. Hehe! Also at the Spa, there is an uber cool boutique selling hand made articles that are really tempting. The MANY awards received by the hotel are also on display. Experiment a cup or two of the detox scented waters for some refreshment. The mani/pedi area is super cute but I did not have the time to try. Next time. In my opinion, some of the main highlights in the resort. The pool outside is so pretty that I took maybe one million photos of it I couldn’t get used to it. 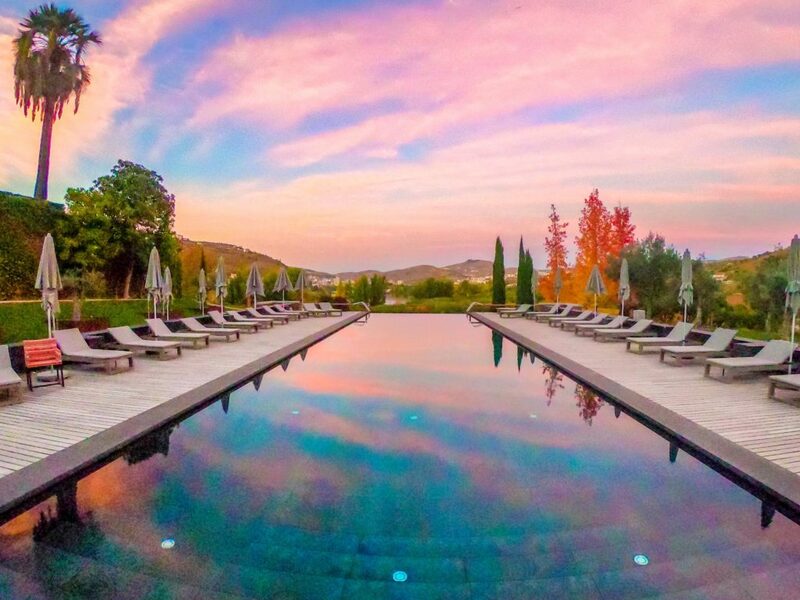 Watching the sunset from this infinity pool with a view of the Douro river was a dream as it is possible to see the clouds being reflected in the water. The indoor pool was sooooo relaxing and the best place to go to finish the day. Beautiful, peaceful. You know me and you know I did not use it BUT it offers a view of the indoor swimming-pool and ultra modern features. So, if I had to go to the gym, it would have to be this one. Hahahaha! Something I love and really connect with! 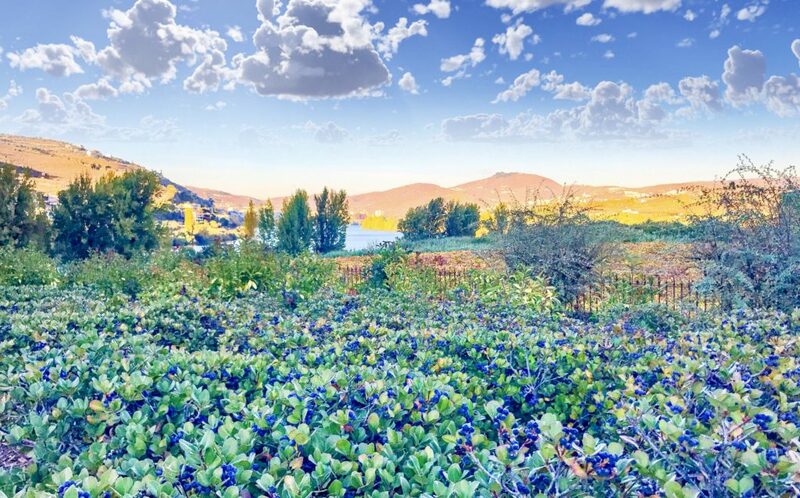 Six Senses Douro Valley keeps it as sustainable as possible, producing locally many of the herbs, vegetables and flowers used in its restaurants – the idea is to become gradually more self-sufficient every year. Moreover, Six Senses mineralized water is produced on-site so as to reduce the carbon footprint associated with packaging and transporting quality water. 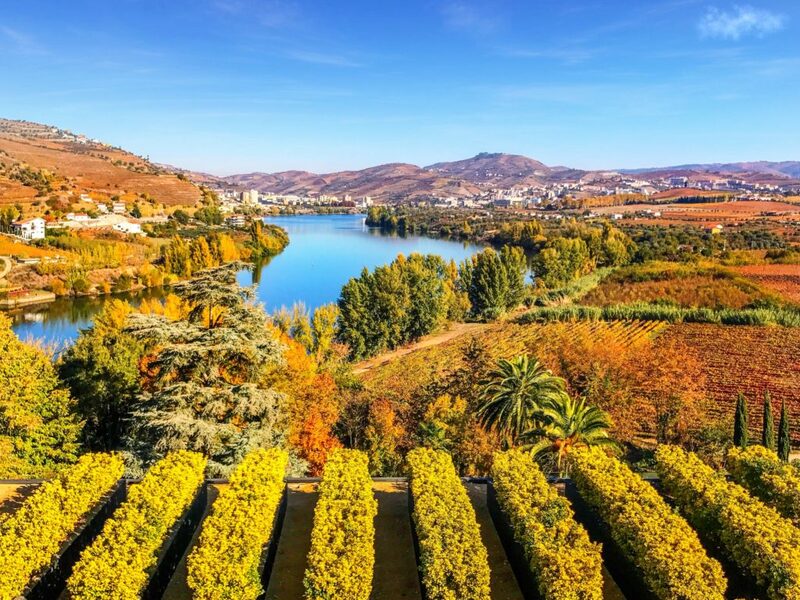 Whenever possible, the hotel gives preference to the employment of people living in the Douro Valley and region, local products and services. We had brilliant Rui Pedro Fonseca taking care of us and reading our minds. Haha! He organised amazing journeys and gave us the best advices we could ever have. So many and so cool that I will write a separate article to share his advices with you. Stay tuned! High season is through June and July, with the peak season ranging from August to the Harvest period early September as well as New Year. 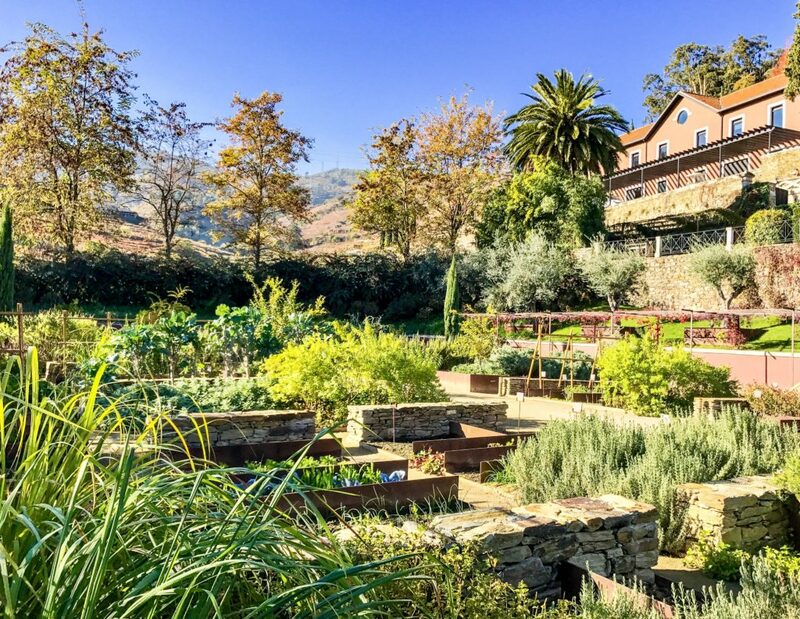 Winery visits, wine tasting and local dining are offered all year round. I visited during the autumn time and it was amazing. I seriously recommend this time of the year IF it is a “dry year” like 2017. Make sure you check the weather before booking. 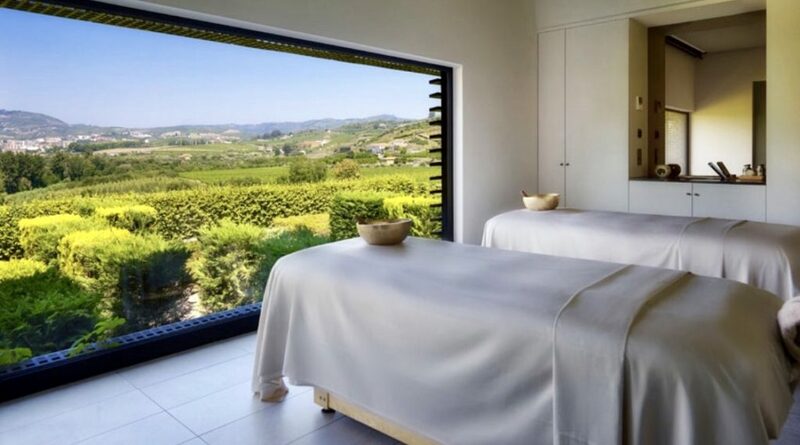 Six Senses Douro Valley is located approximately 9o minutes by car from Porto International Airport, Dr. Francisco de Sá Carneiro. The hotel organizes transfers from and to the airport. This is all folks! 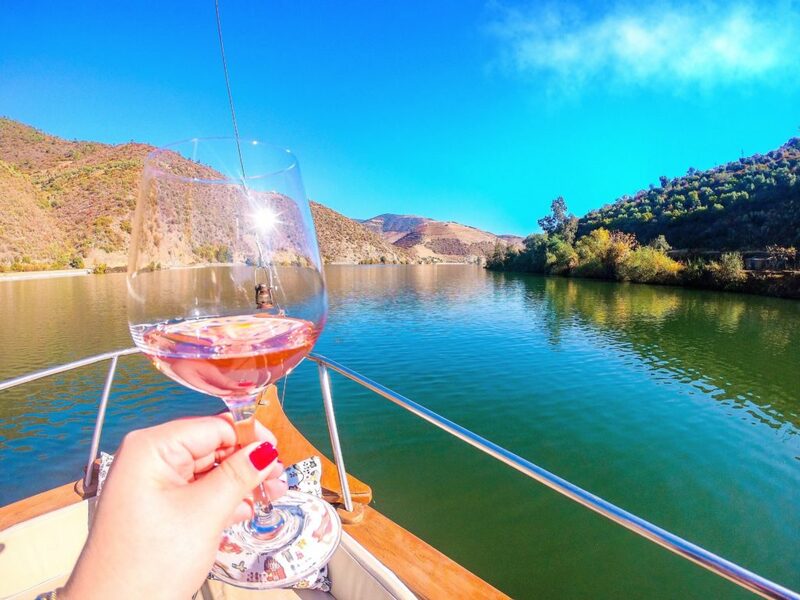 I hope I was able to describe at least a little bit of the fantastic experience I had in the Douro Valley. It was unforgettable and I left with one certainty: I will be back! 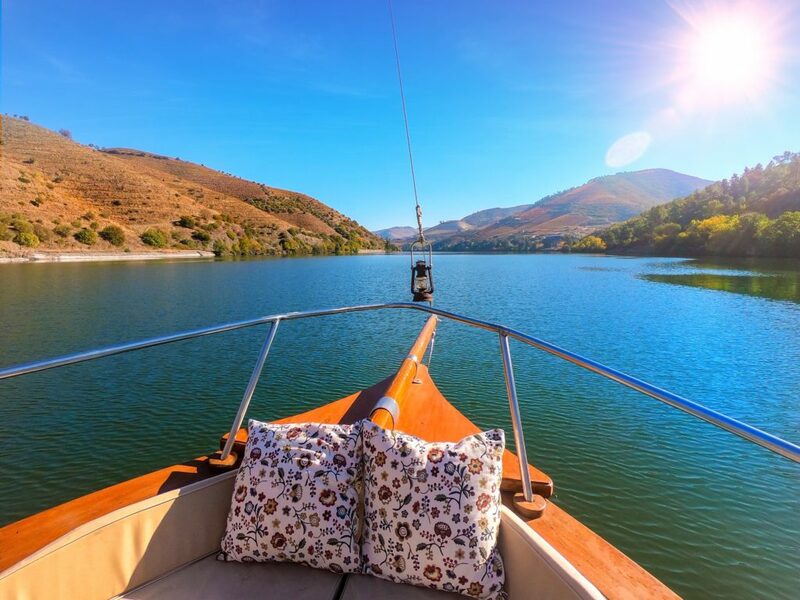 Six Senses Douro Valley is the kind of place which you will never forget and which deserves to be visited at least a couple of times in life. 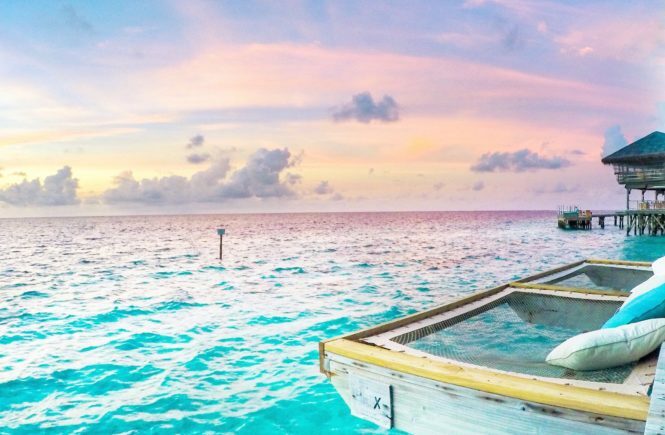 If you fell in love, like me, and want to spend some days in paradise, reserve your room here. Hope you are traveling with me on Instagram at @marineira! Click here and join me! PS: I was listed (first place) by Forbes Travel Guide among the Top 10 Travel Instagrams with a photo I took at Six Senses Douro Valley. Means a lot to me! *They verify luxury*.